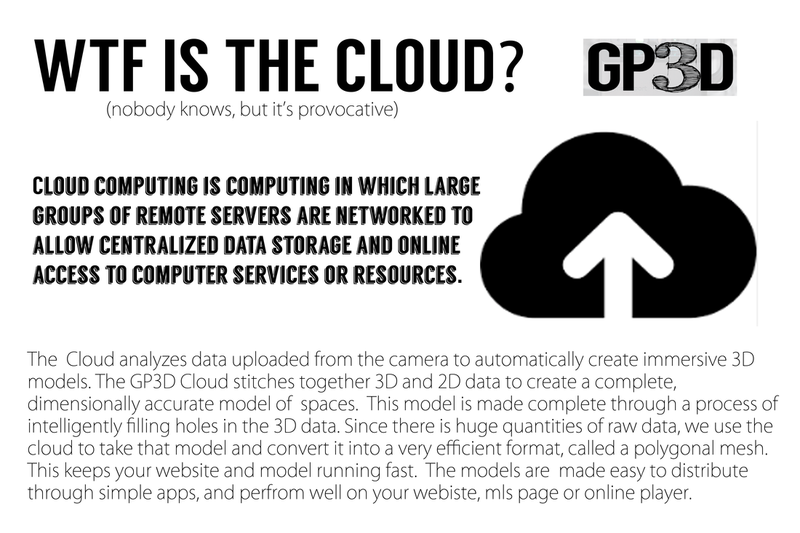 HOW IT WORKS - Gp3d - 3d Marketing Solutions Inc. Please read these Terms of Service (“Terms”) carefully before using the Matterport website or any Matterport products, software, applications, data, imagery, models, functionality and/or services provided to you on, from, or through the Matterport website (collectively, the “Service”). Using the Service indicates that you accept these Terms and any policies and guidelines of Matterport incorporated herein by reference. If you do not accept these Terms or such policies or guidelines, you may not use the Service. 5. Ownership and Use of the Service. The materials made available on or through the Service are protected by copyright and other intellectual property rights, including all images and digital 3D model information available for viewing in our web viewer (“Matterport Viewer”), and, except as set forth below, the use on any website or other environment of any material available on or through the Service is strictly prohibited. Matterport and its licensors own all right, title and interest (including all associated intellectual property rights, in each case whether registered or unregistered, and related goodwill) in and to the Service. Matterport and its licensors reserve all rights in and to the Service not expressly granted to you in these Terms. Display any such 3D model on your website by embedding the Matterport Viewer. TO THE EXTENT PERMITTED UNDER APPLICABLE LAW: (A) UNDER NO CIRCUMSTANCES, INCLUDING, BUT NOT LIMITED TO, NEGLIGENCE, SHALL MATTERPORT OR ITS AFFILIATES OR LICENSORS BE LIABLE FOR ANY CONSEQUENTIAL, INCIDENTAL OR OTHER INDIRECT DAMAGES RESULTING FROM THE USE OF, OR THE INABILITY TO USE, THE SERVICE, EVEN IF MATTERPORT OR A MATTERPORT AUTHORIZED REPRESENTATIVE HAS BEEN ADVISED OF THE POSSIBILITY OF SUCH DAMAGES; AND (B) THE AGGREGATE LIABILITY OF MATTERPORT AND ITS AFFILIATES OR LICENSORS TO YOU SHALL NOT EXCEED THE TOTAL AMOUNTS PAID BY YOU TO MATTERPORT OVER THE TWELVE (12) MONTHS PRECEDING YOUR CLAIM(S). APPLICABLE LAW MAY NOT ALLOW SOME OR ALL OF THIS LIMITATION OF LIABILITY, SO IT MAY NOT APPLY TO YOU. 16. Policy Regarding Third-Party Copyrights. If you believe that your work has been copied in a way that constitutes copyright infringement, or your intellectual property rights have been otherwise violated, please provide Matterport’s copyright agent with the following information: (a) a description of the copyrighted work or other intellectual property that you claim has been infringed; (b) a description of where the material that you claim is infringing is located on the Service; (c) your address, telephone number, and email address; (d) a statement by you that you have a good faith belief that the disputed use is not authorized by the copyright owner, its agent, or the law; (e) a statement by you, made under penalty of perjury, that the above information in your notice is accurate and that you are the copyright or intellectual property owner or authorized to act on behalf of the copyright or intellectual property owner; and (f) your electronic or physical signature. You may submit this information to Matterport’s copyright agent by email at copyright@matterport.com or by mail to: Matterport, Inc., 140 S. Whisman Road, Suite A, Mountain View, California 94041, Attn: Copyright Agent. Matterport may disclose any communications concerning DMCA notices or other intellectual property complaints with third parties, including the users who have posted the allegedly infringing material. These Terms shall be governed by and construed in accordance with the laws of the State of California, without giving effect to any principles of conflicts of law. Any claims or litigation arising under these Terms will be brought by solely in state and federal courts located in San Francisco County, California, and the parties specifically consent to San Francisco, California, as the exclusive venue for any such proceeding. In any such action, you and Matterport irrevocably waive any right to a trial by jury. The United Nations Convention of Contracts for International Sale of Goods, Uniform Commercial Code, and the Uniform Computer Information Transaction Act shall not apply. If any provision of these Terms is unlawful, void, or for any reason unenforceable, then that provision shall be deemed severable from these Terms and shall not affect the validity and enforceability of any remaining provisions. These Terms and any policies and guidelines incorporated herein by reference constitute the entire agreement between the parties relating to the subject matter herein (unless you are a beta customer of Matterport, in which case any conflicting terms of your beta customer agreement with Matterport shall control as long as such agreement is in effect). Notwithstanding the foregoing, these Terms do not govern: (a) any use of Matterport’s hosted portal that communicates with Matterport Pro 3D cameras and processes camera imagery to produce 3D models, which use is governed by the Matterport Portal Subscription Agreement (available at matterport.com/terms-of-service/); (b) any purchase of Matterport Pro 3D cameras, which is governed by the Matterport Pro 3D Camera Terms of Sale (available at matterport.com/camera-terms-of-sale/); or (c) use of the Matterport 3D Capture application made available through the Apple App Store, which is governed by Matterport’s End User License Agreement for the App (available at matterport.com/eula/). You shall not assign these Terms without the prior written consent of Matterport, which consent Matterport shall not withhold unreasonably. Any attempt by you to assign other than in accordance with this provision shall be null and void. Unless otherwise specified herein, all notices, invoices and other communications required or permitted to be given or made hereunder shall be in writing and: (a) if to Matterport, delivered personally or sent by pre-paid, first class certified or registered mail, return receipt requested or by overnight courier, to Matterport, Inc., 140 S. Whisman Road, Suite A, Mountain View, California 94041, Attn: Legal Notices; or (b) if to you, by email or by posting on the Service. No amendment of any provision of these Terms shall be effective unless made in accordance with Section 1 of these Terms or set forth in a writing signed by a representative of Matterport and you, and then only to the extent specifically set forth therein. No waiver by Matterport of any condition or the breach of any provision of these Terms in any one or more instances shall be deemed a further or continuing waiver of the same or any other condition or provision. The beauty of 3D showcases is that once a space has been scanned by the camera and processed in the GP3D Cloud, anybody can interact with the model. And not just interact—but become fully immersed in a model as if they were physically in the space. 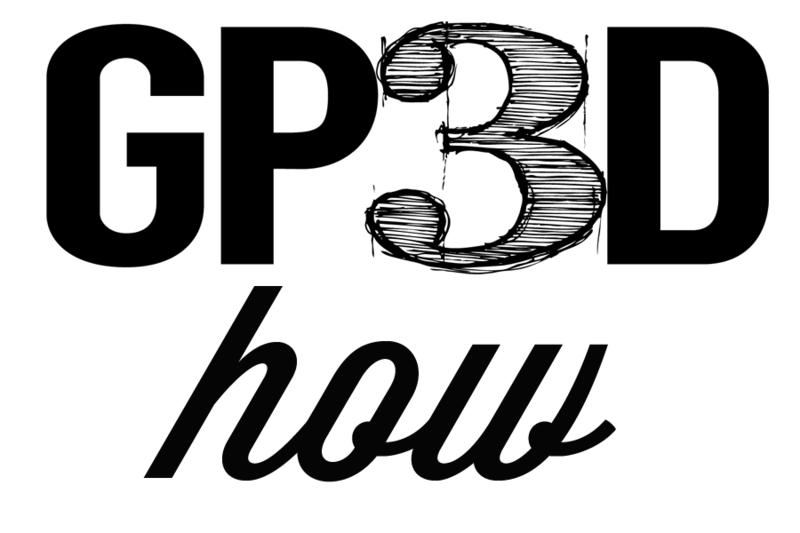 It is possible to see a space from any perspective, to walk around or “fly-through” it, to take measurements, leave annotations, and take snapshots —all from a web browser.